Ultimate Auto Sales of Hayward, CA has clean and reliable used cars trucks, and SUVs for every budget. Ultimate Auto Sales is a leading Bay Area auto dealer located in Hayward, California, right in the heart of the Silicon Valley. With over 25 years of experience in the automotive industry, we have been providing customers with high quality pre-owned vehicles. We encourage you to browse our pre-owned inventory, schedule a test drive, and explore financing options. Ultimate Auto Sales has been providing great savings to our customers since 1993 and believes that customer service means making your vehicle buying experience an enjoyable one. We take the extra steps to understand the needs of our customers and we will exercise any effort to gain your confidence. 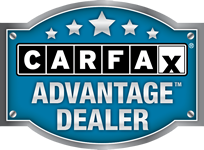 Allow us to demonstrate our commitment to excellence by visiting our dealership today! Our experienced staff are eager to share their knowledge and enthusiasm with you. You can request more information by using our online Contact Us form or by calling us at (510) 583-9285. On behalf of everyone at Ultimate Auto Sales, we would like to thank you for considering us for your next vehicle purchase. We go the extra mile to earn the business of people who find us on the Web. Give us a try and see how well we will perform!